Reading and analysis of plans and specifications prepared by professionals. The required materials are estimated using software with the reliability of the technology. Establish a budget or lump sum submission in accordance with the budget allocated. In accordance with the requirements of the Master of work, our submission may be submitted by the Bureau des soumissions déposées du Québec (BSDQ). This service includes the study of the plans approved by the Engineer, communicated by the General Contractor, as well as the preparation of the installation drawings and the fabrication slips, while respecting the project schedule. Our factory is equipped with computerized materials handling equipment for the manufacture (cutting, bending, assembly) of concrete steel as well as lifting and transfer of heavy load. We have trucks equipped with lifting equipment suitable for transporting our equipment, for safe unloading on your construction sites. 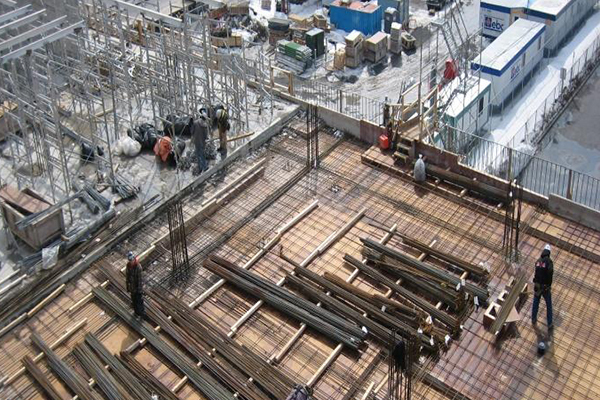 Our team of installers consists of several foremen and highly skilled installers in the installation of reinforcing steel. Under the responsibility of our site superintendent, the latter ensures the quality control and the good performance of its main functions.